We have filed a case in Pennsylvania called Wright and West v. Owens Corning, and we plan to file cases in additional states as well. The lawsuits will seek class-action status and will ask for an award of money damages to replace the shingles. Cases against Owens Corning were stalled for several years because of an issue related to its bankruptcy. The attorneys on the case have been successful in removing this obstacle through a recent ruling from the Court of Appeals, see below, and can now move forward with the litigation. On March 31, 2016, the Court issued an Order denying Plaintiffs’ motion for class certification. Plaintiffs had asked the Court to certify a Nationwide Class and Multi-State Class of consumers who bought certain Oakridge-brand fiberglass asphalt roofing shingles. The Court denied Plaintiffs’ request on the grounds that there were individual issues among Plaintiffs and the class members. Plaintiffs appealed the Court’s decision to the Third Circut Court of Appeals, which will decide whether the Court’s Order should be overturned. Plaintiffs must submit a brief by August 29, 2016, the Defendant must file a response by September 28, 2016, and Plaintiffs must file a reply by October 12, 2016. The case has stayed until December 2016 while the appeal is pending. Contact Halunen Law if you have Owens Corning roofing shingles that have cracked, degraded prematurely, or needed to be replaced too soon. We represent homeowners in a class action lawsuit claiming that Owens Corning owes money damages to homeowners who have had to prematurely replace their Owens Corning roofing shingles. 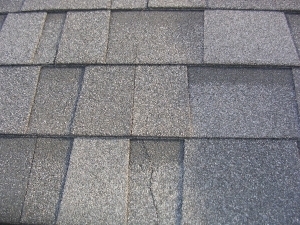 The Complaint alleges that the problem is caused by a common defect in the shingles. The lawsuit also claims that Owens Corning wrongly denies warranty claims, even though it allegedly knows about the problem that causes the shingles to fail. Halunen Law has offices in Minneapolis, Minnesota and Chicago, Illinois. Our experienced and nationally-known attorneys represent employees and consumers in class actions and complex litigation across the United States. Contact us today for more information at 866-523-8533.